The apparatus consist of a halogen lamp as the polychromatic light source, fitted with a condenser lens system, and a filter wheel which comes with five narrow band interference filters to get the precise wavelength. This is followed by a polarizer, an electromagnet with power supply, an analyzer with a mechanical rotator adjustment and a detector. A highly sensitive photo detector is used to measure the light intensity as a function of the analyzer angle for a full rotation. When light passing through certain materials is exposed to a parallel magnetic field, a Faraday rotation occurs. Faraday rotation is a magnetooptical phenomenon that rotates the plane of polarization of light. This experiment is appropriate for sophomore, junior, or senior students in physics. 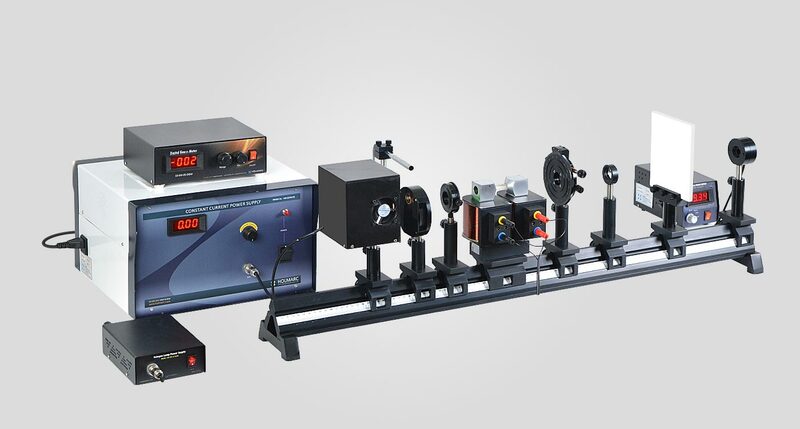 Faraday Effect Multi wavelength Apparatus can be used to measure Verdet constants in solid samples at different wavelengths. 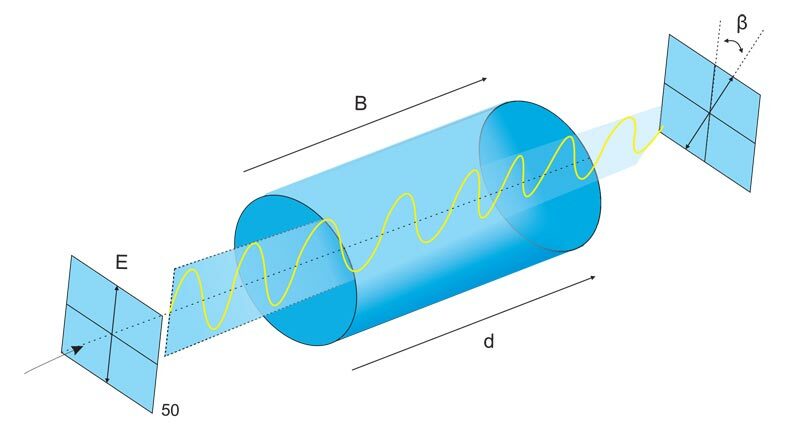 Faraday Effect is a magneto optical effect in which the plane of polarized light is rotated as it passes through a medium that is placed in a magnetic field. Fig. 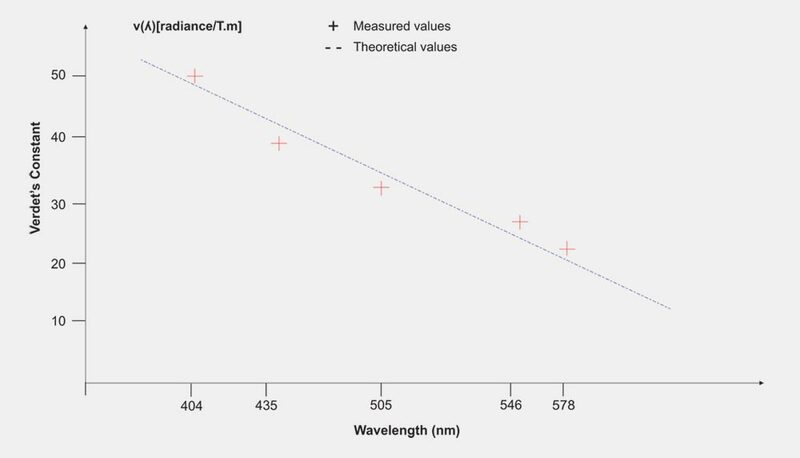 Verdet’s Constant as a function of wavelength. Using different color filters, the angle of rotation as a function of the mean flux density is determined. from the slope of the graphs. Faraday Effect is a magneto optical effect in which the plane of polarized light is rotated as it passes through a medium that is placed in a magnetic field. The amount of rotation is dependent on the amount of sample through which the light passes, strength of the magnetic field and proportionality constant called the Verdet's Constant. 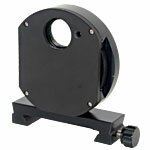 The optical filters are of high quality, in order to reduce the error while selecting the wavelength.